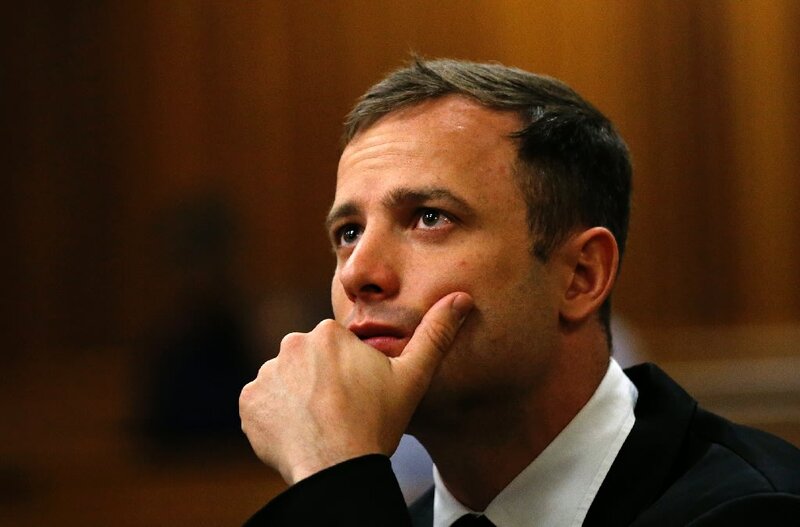 Welcome to Mercy Ebute's Blog: Oscar Pistorius found guilty of murder by an Appeal Court. Oscar Pistorius found guilty of murder by an Appeal Court. Oscar Pistorius, the double-amputee Olympian known as "Blade Runner," has been found guilty of murder by a South African Appeal Court. The court overturned a lesser charge of manslaughter. Pistorius shot and killed his girlfriend Reeva Steenkamp on Valentine's Day 2013. Pistorius indicated at trial that he believed a burglar had intruded into his home, and fired through the door to a bathroom where Steenkamp was. A South African court initially found Pistorius guilty of manslaughter, in effect deeming the crime a tragic accident. After serving time in prison, Pistorius was released to house arrest earlier this fall, with the possibility of appeal looming over him. That appeal came to pass on Thursday, as the five-judge Supreme Court of Appeal rendered a verdict of guilty. "The accused ought to have been found guilty of murder on the basis that he had fired the fatal shots with criminal intent," Justice Lorimer Eric Leach told the court. The judgment apparently hinged on the South African legal concept of "dolus eventualis," in which an individual can be convicted of murder if they foresaw the possibility of death arising from their actions and went forward regardless, i.e. firing bullets through a closed door when it's known there is someone on the other side. Leach directed the North Gauteng High Court, a trial court, to impose a sentence, with no timeline given for the rendering of that sentence. Under South African law, the minimum sentence for murder is 15 years in prison, though that sentence can be reduced under special circumstances. Pistorius had been sentenced to five years for manslaughter, but was released in just over a year based on good behavior. "It's a big relief," Barry Steenkamp, Reeva's father, said after the verdict. "I feel it's a fair decision that the judge gave."